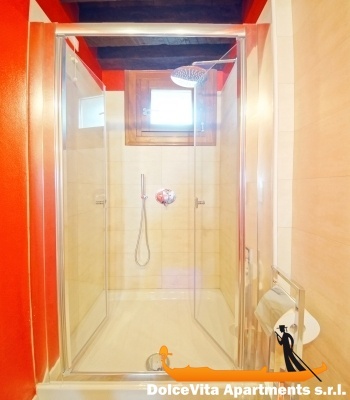 Apartment N. 196: It can accommodate up to 4 people, it is rented from 113 € per Night (not per person). 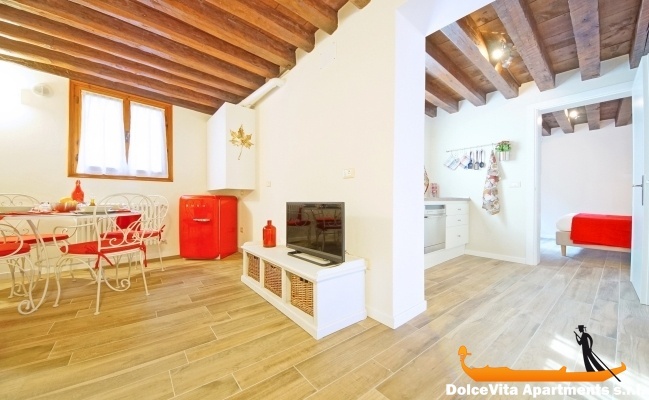 Holiday Venice Apartment Cannaregio for 4 People: Lovely apartment on the ground floor in the center of Venice, in Cannaregio district, it consists of living area, two bedrooms (double) and a bathroom with shower. 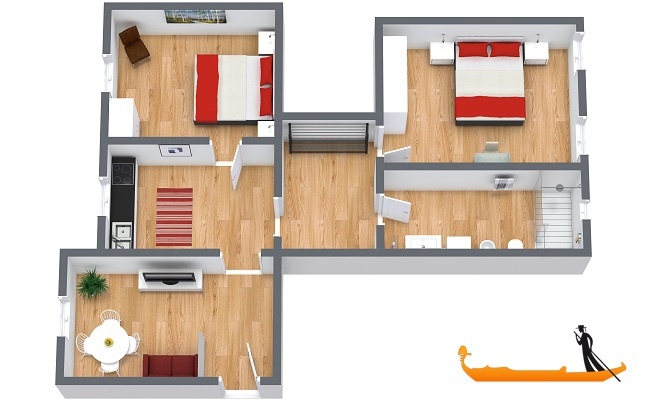 Suitable both for families and groups, the apartment can accommodate up to 4 people. 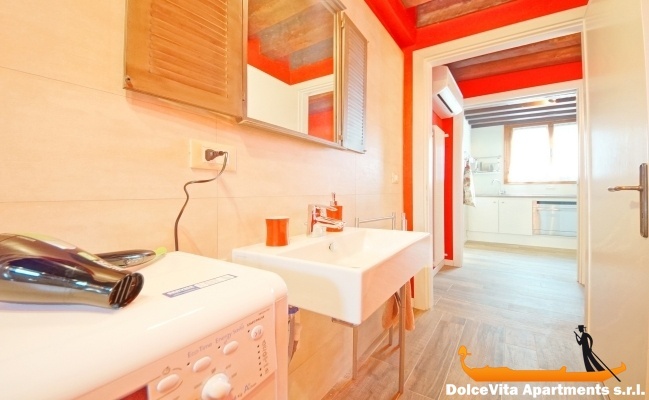 There is a well-equipped kitchen with a refrigerator, espresso machine, microwave and toaster. 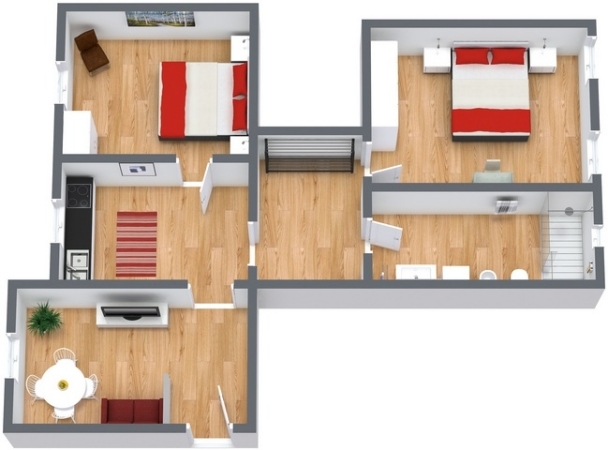 Among the amenities free Wi-Fi, washing machine, dishwasher, plasma TV, and heating system and air conditioner. Towels, sheets and blankets are provided. 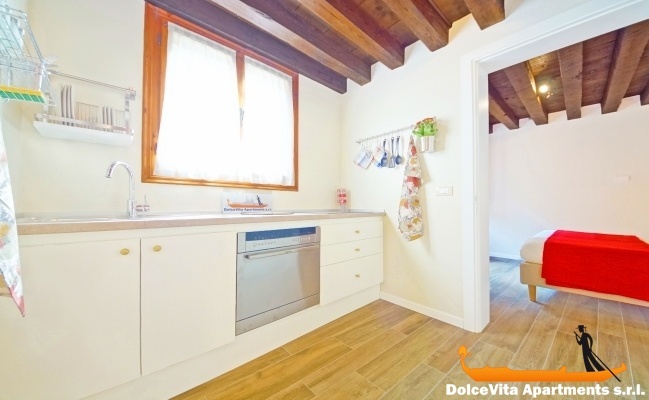 Next to the main monuments of the city, this apartment 10 minutes far from St. Mark’s Square and just 8 minutes from Rialto Bridge. Also excellent to travel to the other islands of the lagoon, since it is just 5 minutes from the water- bus stop “Fondamente Nove”.